The Italian Prime Minister promoted a referendum, that failed yesterday, on a Constitutional reform. 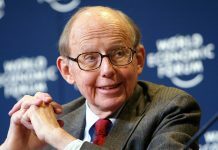 The reform, which intended to eliminate the model known as ‘perfect bicameralism’ and reduce the amount of members of the Senate, among other things, didn’t reach the majority of votes. It was rejected by several right-wing parties, sectors of the left, and the anti-system Five-Star Parties. 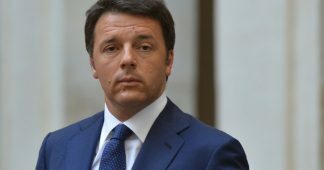 The ‘revolution’ that Prime Minister Matteo Renzi intended to promote with the referendum that was carried out yesterday in Italy ended his own political career. The ‘No’ won by 59.95% of the vote, while the ‘Yes’ obtained the remaining 40.05%. This result was expected because the ‘No’ was supported by several right-wing and center-right parties such as Forza Italia (Silvio Berlusconi’s party), the anti-system Five-Star Movement of Beppe Grillo, and a part of the left and center-left. The latter include former Prime Ministers Massimo D’Alema and Pier Luigi Bersani, both members of the Democratic Party (PD) of which Renzi himself is a member, and economist and deputy Piero Fassina, former member of the PD and currently a member of New Italian Left. Those in favor of the ‘No’ argued that the reform that Renzi proposed wasn’t truly a solution to bicameralism, as it claimed to be, but instead would be a source of conflict between the national state and the regions, and between the Chamber of Deputies and the new Senate. 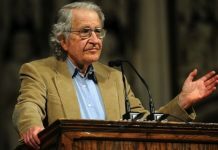 It also wouldn’t fulfill the promise of reducing the costs of the state apparatus and had many incomprehensible points. 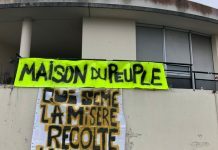 Others rejected it because it denied citizens the right to directly elect senators because they, according to the reform, were going to be mayors or regional advisers chosen in each region. The supporters of the ‘Yes’ to the reform maintained that by reducing the number of members of the Senate from 300 to 100 and changing their functions, only the Chamber of Deputies would have legislative power, and that would improve the performance of the State. And that, with a smaller Senate, the costs of politics would decrease by several hundred million euros a year, because those Senators would be chosen and paid for by the regions. Additionally, each opposing political tendency made specific criticisms. The left criticizes many of the economic measures Renzi took since he assumed as Prime Minister in February 2014, such as the Jobs Act, but also for turning the PD (which originated from the Communist Party) into an organization that is far from the left. Others (and on this matter the right and the left agree) criticize the arrogance with which the government has led throughout the years and with which they have carried on the Yes campaign. 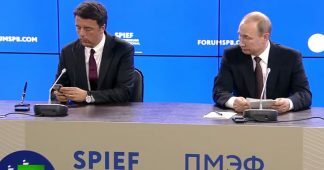 In an interview with the radio station RTL 102.5, from Milan, Renzi acknowledged that in the beginning, ‘everyone agreed on that Italy had to enter the future and that this was a simple reform. Then the debate went into a phase —and this partly my fault— of excessive controversy (…). And this suddenly caused many people to take the side of the No’. 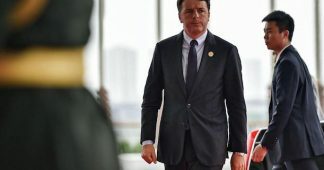 Many opposers explained their disagreement by focusing on the figure of Renzi, as if the question was whether or not to indulge the Prime Minister, when in fact it was about whether the reform was good for Italy or not. A representative example were the propaganda posters created by the racist Northern League, led by Matteo Salvini, that depicted the word ‘NO’, with Renzi’s face crossed out inside the ‘O’. 46.7 million Italians had the right to vote on the referendum, plus the 4 million that live outside the country and are registered. 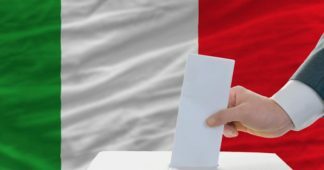 Only 68% of Italian residents attended the polls, according to the official numbers of the Interior Ministry. But this was enough to exceed all expectations, because the attendance exceeded all Italian referendums since 1997. The battle on these reforms had begun over two years ago, with debates in both Chambers. The definitive text of the plebiscite had to go through six parliamentary approvals. From today on, many things could happen. It’s not just about changing the head of the government. According to Italian rules, the President must call every leader of a party to discuss whether a new head of government that is accepted by everyone. It’s generally a candidate of the majoritarian political party in Parliament, or an independent candidate as to make a ‘technical’ government. If the President considers that an agreement can’t be reached, he could call to new elections. What does this result mean to Europe? 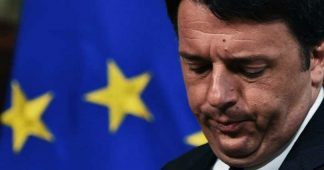 While the referendum result will be widely seen as a personal failure for Renzi, it is also being perceived as a heavy blow to EU bureaucratic elites. RT’s Paula Slier talked to voters in Rome, who shared the notion of this being a vote more broadly linked to EU policies. “The mainstream media is likely to present this as a personal defeat, a vote of [no] confidence against Renzi and against the leadership. 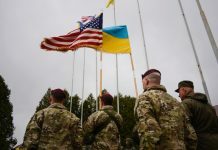 But it should be seen as a much more symbolic vote… it is also a vote against the European Union, against the EU policies and against the EU establishment,” Slier said, citing voters’ opinions. The actual question at issue in the Italian referendum was somewhere between not very important and trivial. To the point that most of us in the press outside Italy haven’t even reported on what the question was–it was about the split of powers between the two houses of the national parliament for those who want to know. To translate this into the American sense we might think of changing the filibuster rules in the Senate, or perhaps removing the House’s monopoly on the origination of spending bills. It’s changing the constitution, certainly, but it’s not really the sort of stuff that constitutional or political crises are made of. Except that Matteo Renzi, the now outgoing Prime Minister, nailed his flag to this particular mast. If it didn’t pass then he was going to resign and it didn’t pass and he has resigned. That he would resign made this less of a referendum (to put it mildly) on the actual proposals–all of which were rather sensible clean ups of the rules if truth be told–and into one giving a yea or nay to his rule. And by implication to the general political settlement in Italian politics. Beppe Grillo’s Five Star movement is very much akin to Britain’s Ukip (with which their MEPs sit) and thus similarly so to the Trumpistas and even Sanderistas in the US. Those who feel they are ignored by the establishment that is, an irruption of the usually silent and overlooked classes. The rather more nakedly out there position of the Front National of France, or AfD in Germany, is taken by the Lega Nord. It’s that coalition, or perhaps voting grouping, which beat Renzi in this referendum. 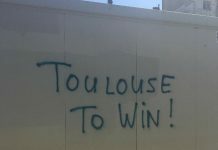 And it is what happens next which could prove the death knell for the euro. Myself I think that the euro should die, indeed I hope it does. 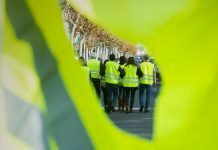 Agreed, I am an extremist on this matter–but if it is Italy which causes it then it is going to be chaos and it would be better if it were all achieved in a more planned, mannered, process. The specific point being that Italy’s banks desperately need recapitalisation. And the current euro rules make that difficult and any even inkling that there might be an exit from the euro make it well nigh impossible. Which is what makes what happens next so important. The referendum seeks to change 36 out of the constitution’s 139 articles. In essence it would radically end the system of “perfect bicameralism” which gives the senate and “camera”, or lower house, equal powers, meaning legislation has to be approved to the letter by both chambers. An emasculation and reduction in size of the senate would, in theory, make for stronger government and faster passage of legislation. The proposed reforms would also give the prime minister far greater say in parliament’s election of the head of state who, while largely ceremonial, holds considerable powers in deciding when parliament should be dissolved, elections held and who gets the mandate to form a government. 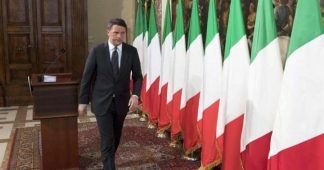 Finally, the proposed reforms would reduce the powers of Italy’s 20 regional governments, handing over authority to the central government on such issues as energy, infrastructure and foreign trade. This isn’t normally the stuff of which crises are made. However, it’s the next stage which could make it one. Renzi has gone which means either new elections or a caretaker government staggering on to the next set or, least likely, the Five Star Movement and allies being asked to form a government. It’s highly likely that Five Star and allies would win a snap election and a reasonable odds on one that they will win the regularly scheduled ones coming up. Barring yet more surprises we would thus be betting on their being the government sometime soon. That’s real GDP, after inflation, and there’s been no growth in it since the turn of the millennium. Since, in fact, the launch of the euro. Good evidence that Italy should not be in a currency union with Germany there. In fact, using the standard tools to determine an optimal currency area it’s not at all obvious that Italy itself should have one currency. It almost certainly is true that Turin and Milan should share a mutual currency, we might add Rome to that and possibly, if being generous, Naples as we move south. But the idea that Basilicata and Milan should belong to the same monetary regime is verging on the preposterous.